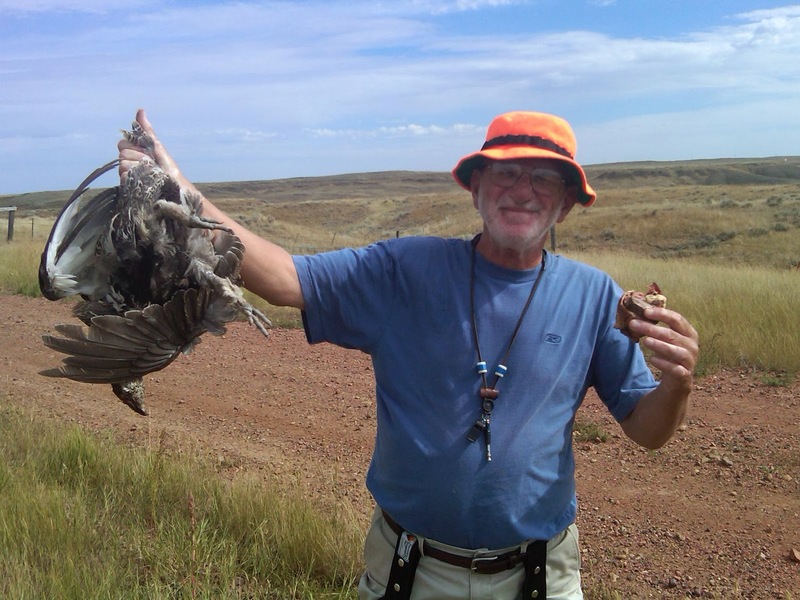 A Bird Hunter's Thoughts: What Makes a Bird Hunter? I learned from my wife, over lunch, that a friend I hunted with years ago has "given up bird dogs and bird hunting altogether" and now plays golf. GOLF?! Really? Immediately, I wondered if I could ever give up my dogs and bird hunting...there is no way this side of heaven I would willingly do that! Then, I began to ponder the question, What makes the bird hunter? Or, more specifically, what makes the REAL bird hunter. I guess I would need to define what that is (and that's the fly in the ointment). I know what it isn't. It's not about the killing. I've never had an unsuccessful day in the field. Not once in over 24 years of traveling and hunting birds in this country have I been less than successful when the boots hit the ground. If that phrase confuses you, think about it. What defines success for you? Birds in the bag? Is that the measure? 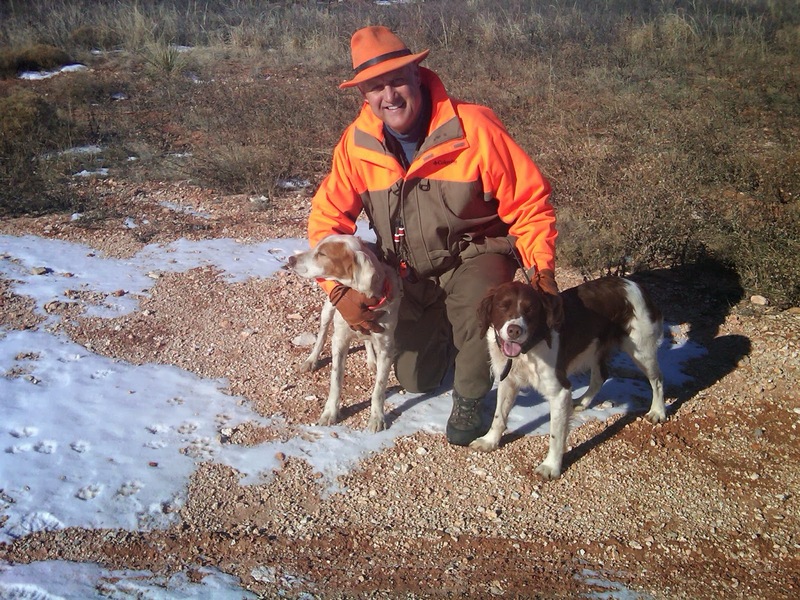 Killing birds as an end result of working with my dogs as a team makes for a great finish. But that is by no way the measure of success! Watching a pup quarter and think and work with me as a teammate in the heat or snow or thick woods, even without a point- that's success. Having two mature, bird finding machines work their hearts out in cactus and scree chasing Gambels with no luck, but refusing to quit- that's a good day! And, please don't misunderstand, walking with one dog and pointing 16 coveys in 6 hours for a limit of Bobs in the hilly Texas panhandle land is a successful day as well. Cap and Me in NM. It was a very good quail year! I've read so much really good stuff over the years. Classics that we all have on our shelves, and I have my favorites along with everyone else. There are new guys writing now- real writers- guys that can turn a phrase and make it dance. I've blogged about a few. Their stories are the kind that stick with you and come back over and again. The pictures from the stories are vivid, which is a neat trick, since there were no pictures in the books. These authors are bird hunters. They aren't counters. I think they absorb the day, weather, the sun, the wind.....the vibes...and they can morph that in to words and manage to string it into a coherent sentence. Something I will never do. Doug Deats' book left me pondering more than once in that regard, just as an example. I thought about writing once. But, I had a serendipitous encounter with a real author and wordsmith. What I gained from that was a sense of perspective. I'll stick to the storytelling. What makes a Bird Hunter? I guess I know when I see one. I hunt with a bunch of them. I can guarantee you they won't sell off their dogs and go play golf. They may sell off their kids, but not their dogs! (I still don't get the golf thing! Golf? I don't even like pastels!) I know these guys will be at it long after their legs have given up and the lungs are shot. The most heartbreaking moment for any of them will be when they realize they won't be able to take the old boy out this year (I almost couldn't type that one!). Shades of Jenny Willow. Well, that time isn't here for me. And, God willing, it won't be here for a long while. Keep your eyes open for the real Bird Hunters out there. Raise the young ones up to be ethical men and women in the field. Start a new pup when your youngest hits 5. Leave the gates like you found them. And, try to be the man (or woman) your dog thinks you are.